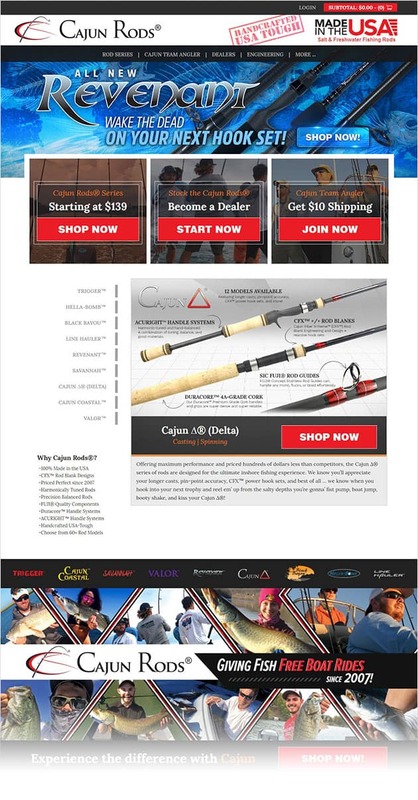 Cajun Custom Rods is a manufacturer of custom and OEM fishing rods that approached us to build their website and to provide a custom online fishing rod builder unique to the fishing industry. We developed a customized mobile friendly website using WordPress as the content management system platform and Woocommerce as the eCommerce tool. We also built a custom rod builder application that allows customers to build a rod from scratch and then have it manufactured. We also provided search engine optimization (SEO) services and consulting. 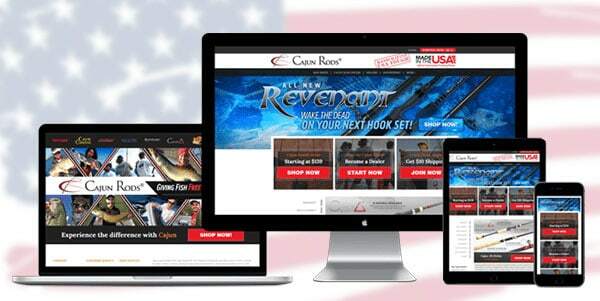 Cajun Custom Rods is now ranked number one on many keyword searches in the custom fishing rod industry and has continually grown with several revisions to their current site. We continue to work with Cajun Custom Rods on lead generation, ongoing website improvements, and online marketing strategies.